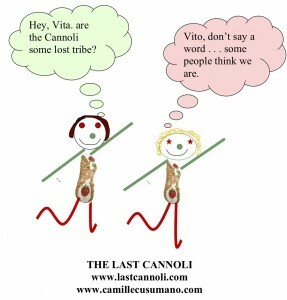 As eaten by the Donitellas in THE LAST CANNOLI. This is from scratch folks. The Cannoli Kids asked that I tell you that the cannoli you buy in bakeries are made from a cornstarch-pudding base. They like those a lot. However, their Nonna Carmela (author of La Cucina di Carmela), considers this filling more sumptuous. In a large mixing bowl, sift the flour and add sugar and cinnamon, mixing all well. Make a well in the middle of the flour and pour in the wine. Stir flour into wine, using a fork, then your hands to get a cohesive ball of dough. If it’s too dry add more wine. Too sticky, add more flour. Dough should be satiny and a pale coral color. Pretty, eh? Roll out the dough onto a smooth surface and knead it well. You can do this in your food processor if you’re one of those modern cooks. Whatever you do, let the dough rest for 20 to 30 minutes. Using your hands, form walnut-size spheres of dough. Now get out the rolling pin or pasta machine on the thinnest setting. You take a sphere and you roll it to about a 5-inch diameter. Wrap each piece of dough around a cannoli cylinder (available in hardware, kitchen stores, or online no doubt). Using a dab of the egg yolk seal the flap ends of the dough shut tightly. In a 4-quart capacity pot heat the oil for deep frying. About 375 degrees F. Fry 2 or 3 pastry shells at a time. Cook until nicely browned, about two minutes each. Gently remove the shells with tongs and place them on a thick pile of absorbent paper to drain. As soon as the shells are cool enough to handle slide them off the cylinder. Careful, they’re crispy critters. It is best not to fill the shells until you’re ready to serve them or they will become soggy. These shells keep very well, up to six months, if stored in well-sealed cookie tins or containers. Before you mix all of these ingredients together, a note: Be sure the grated chocolate and nuts are small enough so that when you go to fill the cannoli shells the little bits don’t clog your pastry bag’s tip. OK, go ahead and mix together everything but the whipped cream. Fold the cream in last. Pipe the filling into the shells with a pastry bag and decorative tip if desired. Dust the filled cannoli lightly with powdered sugar. Buon appetito! 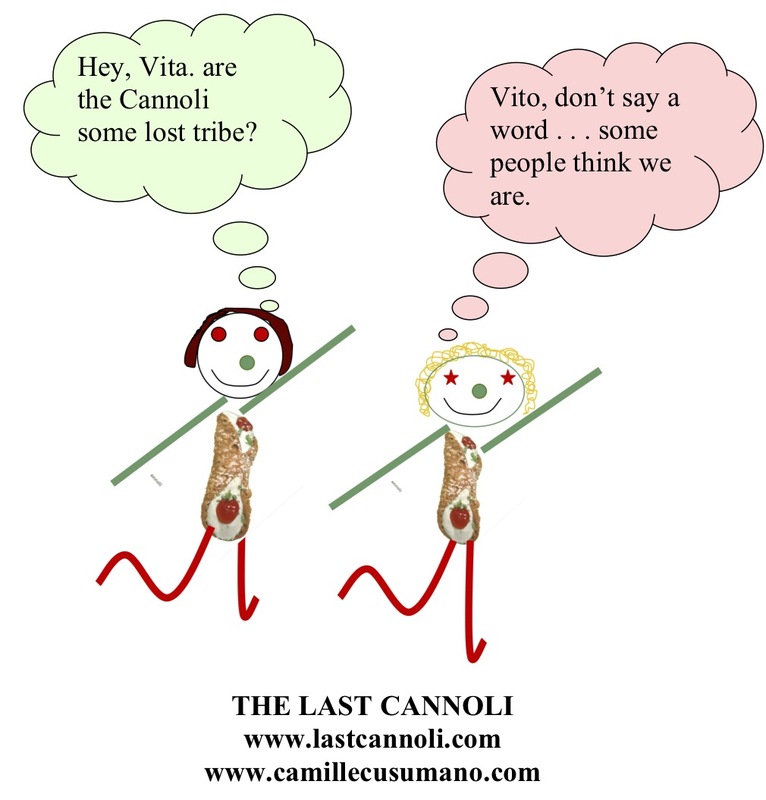 Oh, yeah, the Cannoli Kids wanted me to tell you how we leave out that chopped candy fruit none of us likes anyway – you know that citron stuff, you get in some cannoli.